Use the Course Reserves link on the library website to locate the call number of your textbook. 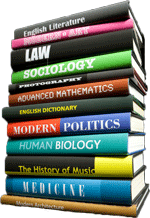 Check out textbooks at the Reserves Desk to use inside the library for 2 hours at a time. There are 12 study rooms on the 1st floor can be checked out at the Check Out Desk. There are 6 study rooms on the 2nd floor include monitors, DVD & Blu Ray with computers. The rooms can checked out at the Media Desk. One or more people can check out a study room. Reserve a Study Room - Coming soon! 2nd Floor features Quiet Study seating on west side of the building. The library provides 124 computers. Current students may log into the network using their username and password (watch video). The wireless network is called cc-ap. Printers are located on the 1st and 2nd floors. Currently, the black and white and color prints are free to enrolled students. Access library databases and other electronic information from the library website. Find articles, electronic books, streaming media, and much more by using the subject specific databases. Renew library materials and access library databases. You need to create a login to My Library Account.